The length is way bigger than any other pants I have ever owned in the same size and they are kind of baggy. At least 2 inches. I ordered these pants after I received my first pair a few months ago. They are not only useful for tactical situations but stylish enough to wear to work. Great quality and very comfortable. Thank you. Ordered cargo pants. Well made. Fast shipping. 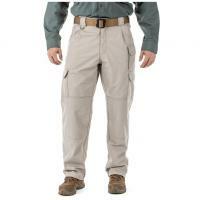 Ordered the 511 Tactical Pants to complement my 511 Tactical Jacket. I am very pleased with the quality, pricing and customer service. Shot my first IDPA match with both and was very prepared outfitted properly. Thank you.